The definition of lettuce is a plant in the genus Lactuca with crispy leaves. An example of lettuce is the primary ingredient in salads. "lettuce." YourDictionary, n.d. Web. 21 April 2019. 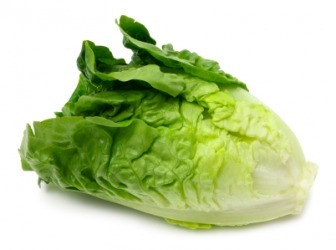 <https://www.yourdictionary.com/LETTUCE>. Middle English lettuse from Old French laitues pl. of laitue from Latin lactūca from lac lact- milk (from its milky juice) ; see melg- in Indo-European roots. An edible plant, Lactuca sativa and its close relatives, having a head of green and/or purple leaves. (uncountable) The leaves of the lettuce plant, eaten as a vegetable; as a dish often mixed with other ingredients, dressing etc. I'll have a ham sandwich with lettuce and tomato. (uncountable, US, slang) United States paper currency; dollars. From Middle English letuse, of uncertain precise origin; related to Old French laitue, from Latin lactÅ«ca (“lettuce"), from lac (“milk"), because of the milky fluid in its stalks. She grabbed a head of lettuce and shut the door. Potatoes, cabbage and lettuce are much grown for the early Northern markets. In the south, in the Julianehaab district, even flowering plants, such as aster, nemophilia and mignonette, are cultivated, and broccoli, spinach, sorrel, chervil, parsley, rhubarb, turnips, lettuce, radishes grow well.